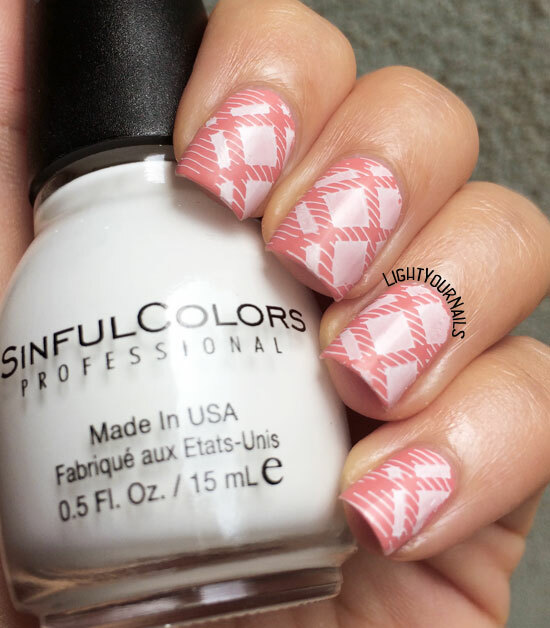 Plaid nails | Light Your Nails! Be still my heart! The colors, the plate, the matte...you did a great job with this! Eeek! So sorry you got cut! The look you created is pretty. I love the dimension from the second stamp! 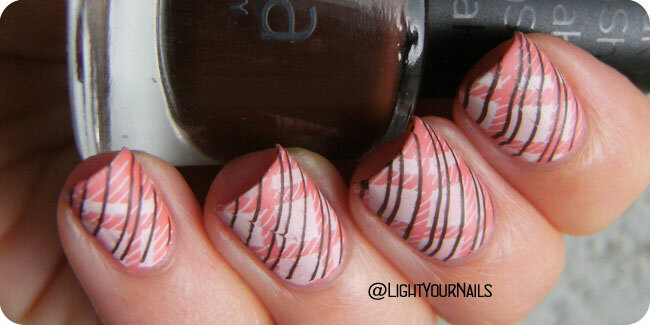 Really really LOVE your plaid mani! You choose very pretty colors that match so well! Brava ti è venuto molto bene! this plaid is lovely. I really dig the pink. I love how nicely Sinful Colors stamp. I used them before I got actual stamping polish. Great mani! Their white must be my favourite one! I prefer it to special stamping polish as well! I love this look! The brown stripes make it look like a fancy dessert from far away, haha. Sorry you cut yourself on the stamping plate, that's really lame! Haha you made me want a dessert now! What a great plate. So many grunge manis screaming to be done.